The chin line could be cleaner (or remove that horizontal line above the hatching). But, otherwise, good pen work/inking. 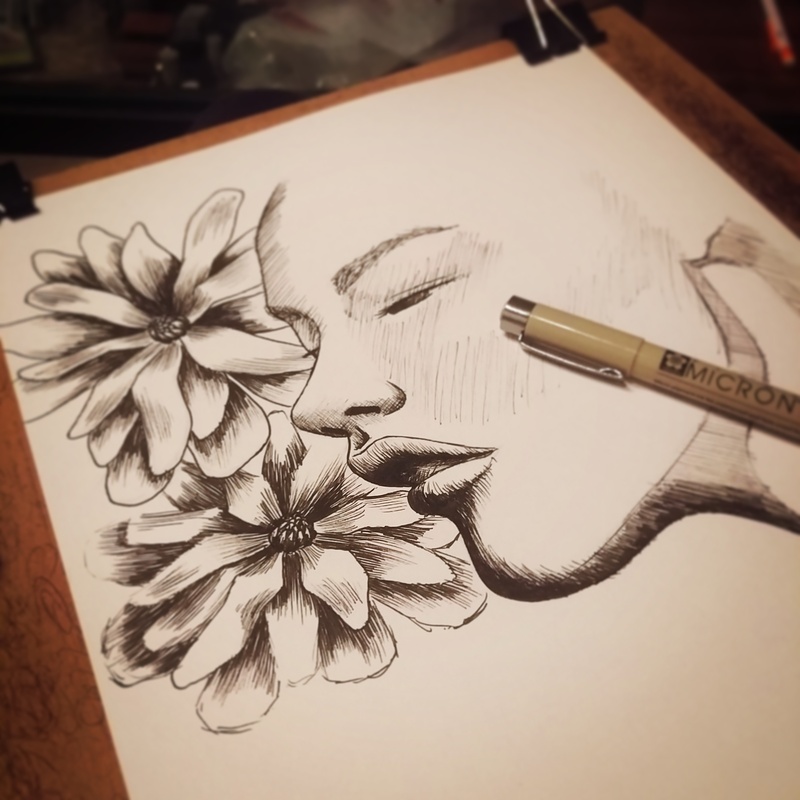 She can feel the flowers against her cheek. This looks like the start of a fashion mag photo for spring.